We have been taking a closer look at roots and what they look like, what their job is and how they work today. 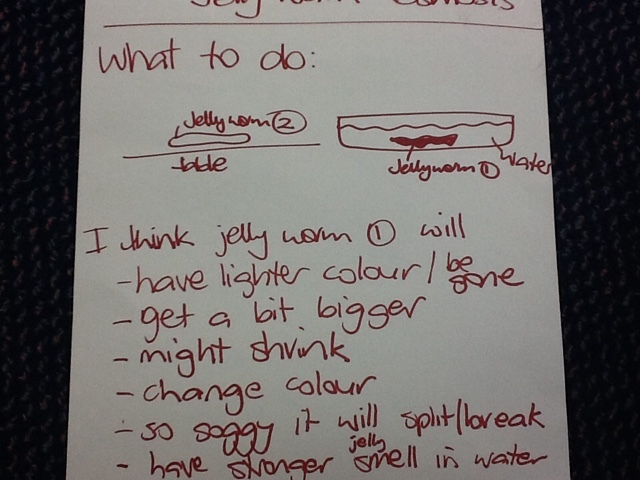 To try and understand how they work to get the water out of the soil we set up the jelly worm osmosis investigation. 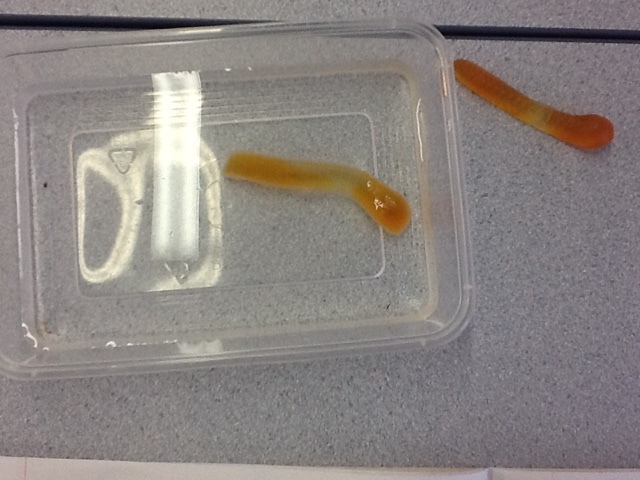 Here is what the jelly worms looked like when we put them in the water. You can see the control worm on the table. 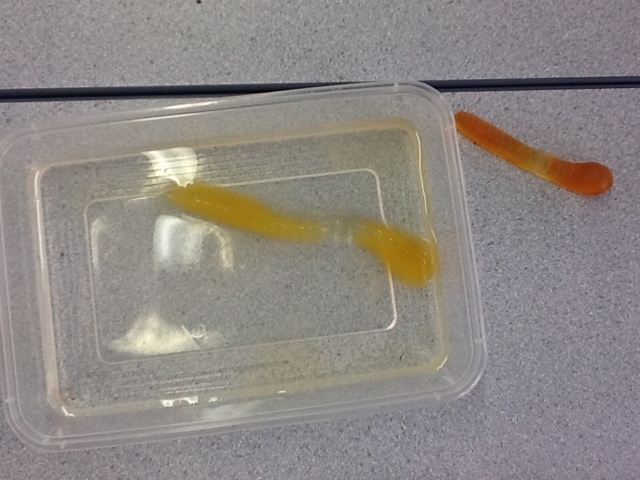 It is there so we can compare what happens to the worm in the water with a worm that has had nothing done to it.